Pakistan raised the Kashmir issue in the UN General Assembly on Saturday, saying the "unresolved dispute" is impacting achieving durable peace between India and Pakistan and remains a "blot on the conscience of humanity". 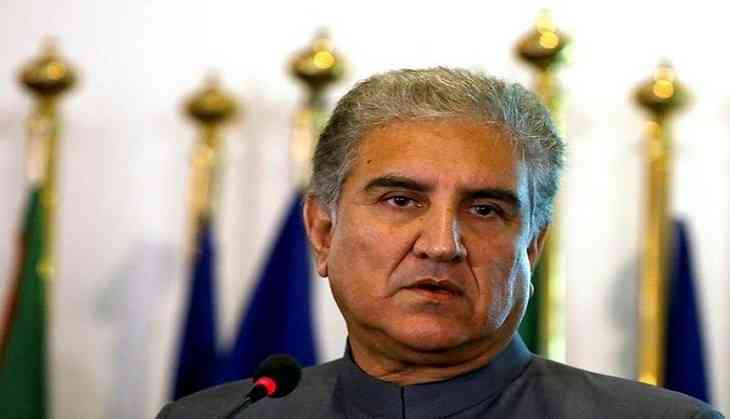 Pakistan's Foreign Minister Shah Mehmood Qureshi, addressing the General Debate of the 73rd session of the UN General Assembly, said Islamabad wanted a relationship with New Delhi based on "sovereign equality and mutual respect". "We seek resolution of disputes through a serious and comprehensive dialogue that covers all issues of concern," he said in his address. On the cancellation of the foreign minister-level talks on the margins of the General Assembly, Qureshi said Pakistan was to talk about all issues with India but New Delhi called off the dialogue, preferring "politics over peace". "They used the pretext of stamps issued months ago...and depicting grave human rights violations, including pellet gun victims, as an excuse to back out from the talks," he said. India had called off the meeting, citing the brutal killings of three policemen in Jammu and Kashmir and Islamabad releasing postage stamps "glorifying" Kashmiri militant Burhan Wani. "Dialogue is the only way to address long standing issues that have long bedeviled South Asia, and prevented the region from realising its true potential," he said, adding that the "unresolved Jammu and Kashmir dispute hinders the realisation of the goal of durable peace" between the two countries. "For over seventy years now, it has remained on the agenda of the UN Security Council and a blot on the conscience of humanity," he said. Qureshi also said that Pakistan is ready to engage with India for meaningful confidence building, risk reduction and avoidance of arms race in the South Asian region. Qureshi also said that if India ventures across the Line of Control, or acts upon its doctrine of "limited" war against Pakistan, "it will evoke a strong and matching response." Describing Pakistan as a victim of terrorism, Qureshi said his country wanted to sit with India to discuss all issues, including terrorism, that have created violence in cities and towns, and have led to tens of thousands of casualties. Pakistan also brought up the issue of Kulbhushan Jadhav, an Indian national who was sentenced to death by a Pakistani military court in April last year on charges of espionage and terrorism.